I’m excited to share a project that I have been working on with Gregory‘s organization Amp New Music. 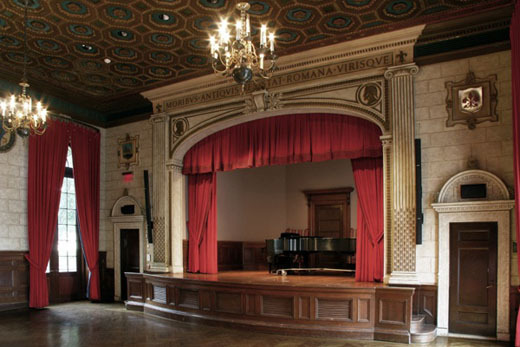 The project is a concert at the Italian Academy in NYC with the vocal ensemble ekmeles which will feature the U.S. premiere of Luigi Nono’s Quanndo stando morendo and a premiere of Greg’s new piece for chamber ensemble and electronics. I’ll be playing in both works including some wild bass flute on the Nono piece. Although Amp New Music has received support from the Italian Academy and Luigi Nono’s Archive in Venice, it will not cover all of the expenses for the concert so we’ve created a Kickstarter campaign to raise money. Our fundraising target is $2000; Kickstarter uses an all-or-nothing funding model, so we have to meet or exceed that goal in order to receive any of the pledges. Be sure to check out our Kickstarter video describing the project, it’s awesome.